Style: Plus Size Denim, Two Ways with Yours Clothing. As promised, my search for some great black jeans continues, and you'll be pleased to know I'm a step closer! Thanks to Yours Clothing, I may have found some that will do the trick. 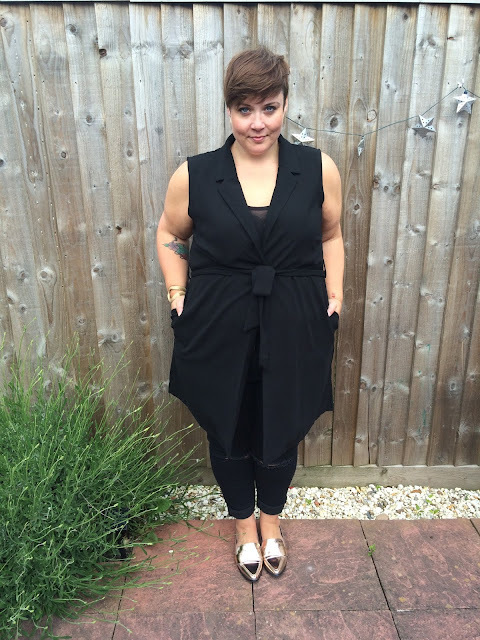 I've styled them two ways with some gorgeous pieces also from Yours. Their 'New In' section is banging at the moment and I've got a 15% discount at the bottom of the post too! The black stretch skinny jeans with ripped knee are a thin, lightweight denim with, as the name suggests, a lot of stretch. They're still not perfect in the crotch for me, as per yesterday's post and jeans, but they are better, noticeably so. Hallelujah. I also happily, found them true to size, I'm wearing the 22. 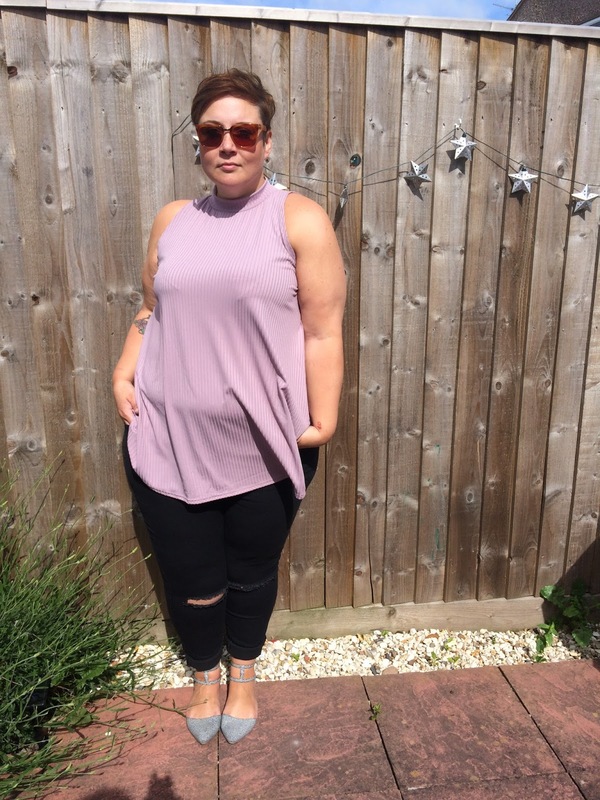 I've teamed them with this gorgeous high neck sleeveless top, in a very, uncharacteristically (for me) pretty lilac. And wow do I love it. It's just so summery and chic. Again I'm wearing the 22, it's true to size and has a nice flared shape to it, so it just skims over the body. My second outfit is even more paired back. It's super chic and something I'd happily wear to a meeting, but be equally as happy to wear out for drinks. The black sleeveless waistcoat with tie waist is a dream. It feels and looks expensive. It has tailored, minimal vibe about it. 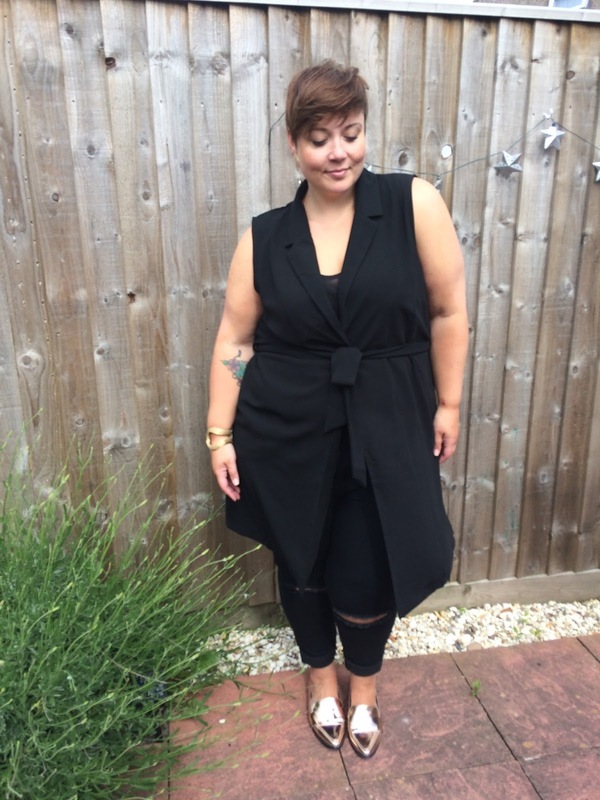 The fabric is similar to a heavy crepe, it just feels great on. And it has pockets, which for some reason, in my head makes it doubly awesome. Again as with the two previous items I'm wearing the 22. It's a little snug on the hips, I might have been better off with a 24, but it's not a massive problem. I've kept the styling simple and added gold accessories. But... 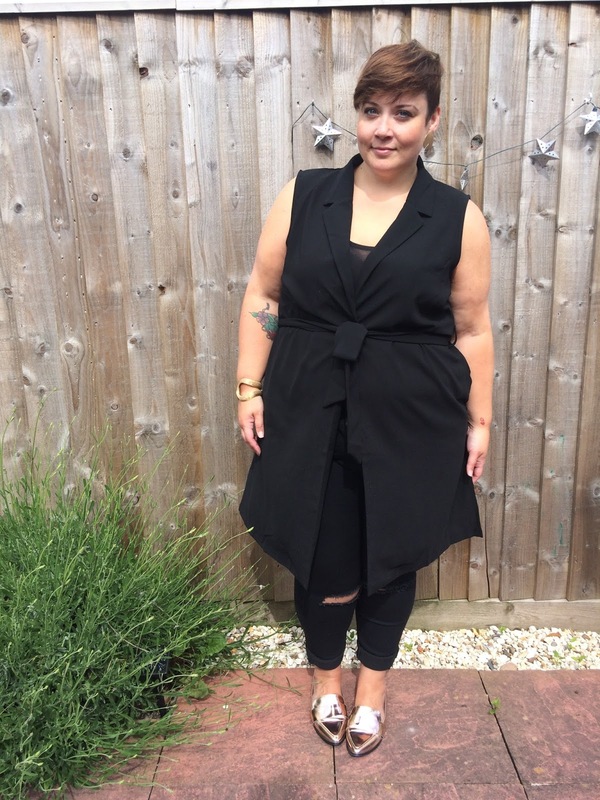 Imagine this jacket over a lacy basque, some cigarette pants and heels. Oh my goodness. If you fancy placing a bit of a Yours Clothing order I've got a new blogger code for you. Enter BEBE15 at the checkout for 15% off (new customers only). That second outfit is absolutely effing smoking girl. I love how it cinches in your waist. Really love both of these outfits but my is that lilac top cute! 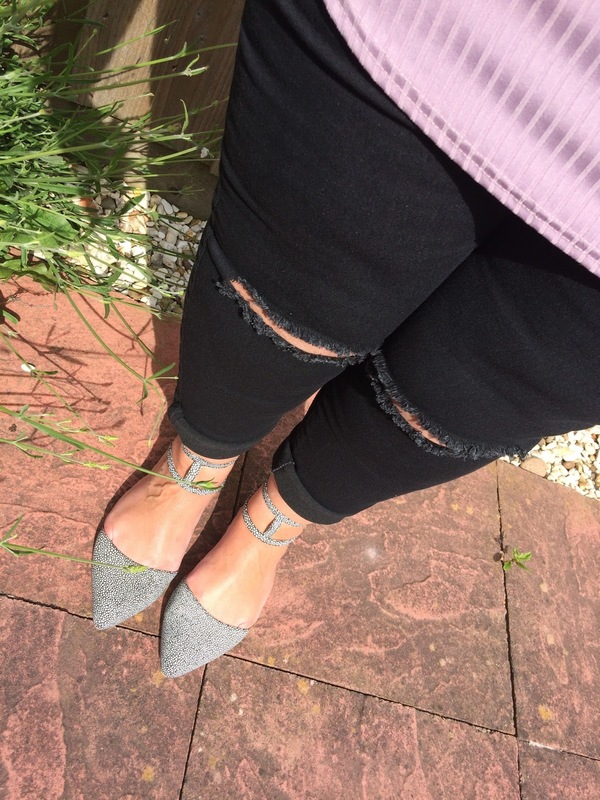 Love the girly colour mixed with the ripped jeans - looks fab!